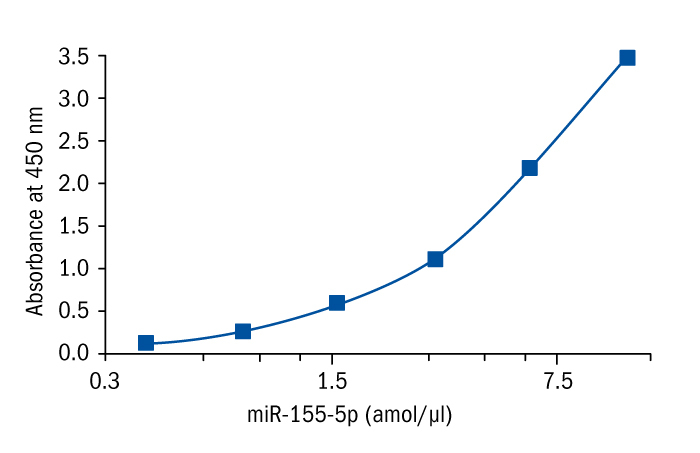 MicroRNA-155 is encoded by the MIR155 host gene (MIR155HG). MiR-155 is mainly expressed in the thymus and spleen; in the other tissues, its expression is negligible/undetectableunder normal physiological conditions. Target genes that are regulated by miR-155 include approximately 140 genes that encode for immunomodulatory proteins, tumor-suppressor proteins, and inﬂammatory-related proteins. Therefore, miR-155 is often associated with disorders, including cardiovascular diseases, inﬂammation, and cancer. It is well-known that miR-155-5p is a proinﬂammatory, oncogenic miRNA, highly expressed in activated B and T cells as well as in macrophagesmiR-155-5p controls the function of lymphocytes and dendritic cells and is critical for normal immune function. In the gastrointestinal tract, abnormal miR-155 expression can be detected during Helicobacter pylori infection, and increased expression is observed in patients with inﬂammatory bowel disease (IBD) and colorectal cancer (CRC). miR-155 can be detected in high levels in several solid tumors such as lung cancer, breast cancer, thyroid carcinoma, cervical cancer, and pancreatic cancer and it also serves as an indicator of poor prognosis for patients with these tumors. It promotes loss of genomic integrity in cancer cells by targeting genes involved in microsatellite instability and DNA repair, which strengthens the oncogenic features of miR-155 and highlights its role at the early steps of tumorigenesis. Recently, numerous studies have demonstrated that miR-155 is associated also with hematological malignancies. Dysregulation of miR-155-5p expression has been linked to chronic lymphocytic leukemia (CLL) pathogenesis and miR-155-5p seems to be a promising, independent biomarker of unfavorable prognosis in CLL. Xiaoyan W. et al. "MicroRNA-155: a Novel Armamentarium Against Inflammatory Diseases." Inflammation; 40 (2): 708–716 (2017). Wan J. Xia L. Xu Wand Lu N. "Expression and Function of miR-155 in Diseases of the Gastrointestinal Tract." Int. J. Mol. Sci. ; 17. 709 (2016). Faraon I. Antonetti FR. Cardone J. Bonmassar E. "miR-155 gene: A typical multifunctional microRNA. Biochim. Biophys." Acta; 1792: 497–505 (2009). Papageorgiou SG. Kontos CK. Diamantopoulos MA. Bouchla A. Glezou E. Bazani E. Pappa V. Scorilas A. "MicroRNA-155-5p Overexpression in Peripheral Blood Mononuclear Cells of Chronic Lymphocytic Leukemia Patients Is a Novel. Independent Molecular Biomarker of Poor Prognosis." Disease Markers; (2017). Rodriguez A. Vigorito E. Clare S. et al.. “Requirement of bic/microRNA-155 for normal immune function.” Science; 316 (5824): 608–611 (2007). Volinia S. Calin GA. Liu CG. et al. "A microRNA expression signature of human solid tumors deﬁnes cancer gene targets". Proc. Natl. Acad. Sci. ;103:2257–2261 (2006). Iorio MV. Ferracin M. Liu CG. et al. "MicroRNA gene expression deregulation in human breast cancer". Cancer Res. ; 65: 7065–7070 (2005). Nikiforova MN. Tseng GC. Steward D. et al. "MicroRNA expression proﬁling of thyroid tumors: Biological signiﬁcance and diagnostic utility". J.Clin. Endocrinol. Metab. ; 93: 1600–1608 (2008). Wang. X. Tang S. Le S-Y. et al. "Aberrant expression of oncogenic and tumor-suppressive microRNAs in cervical cancer is required for cancer cell growth". PLoS ONE; (2008). Szafranska AE. Davison TS. John J. et al. "MicroRNA expression alterations are linked to tumorigenesis and non-neoplastic processes in pancreatic ductal adenocarcinoma". Oncogene; 26: 4442–4452 (2007). Pagotto S. Veronese A. Soranno A. et al. "Hsa-miR-155-5p drives aneuploidy at early stages of cellular transformation ". Oncotarget; 9 (16): 13036-13047 (2018). Ranganath P. "MicroRNA-155 and its role in malignant hematopoiesis". Biomark. Insights; 10: 95–102 (2015).